NEW YORK – State Police in Brentwood continue to investigate the murder of an unidentified male in Dix Hills, NY which took place eighteen years ago in 2000. 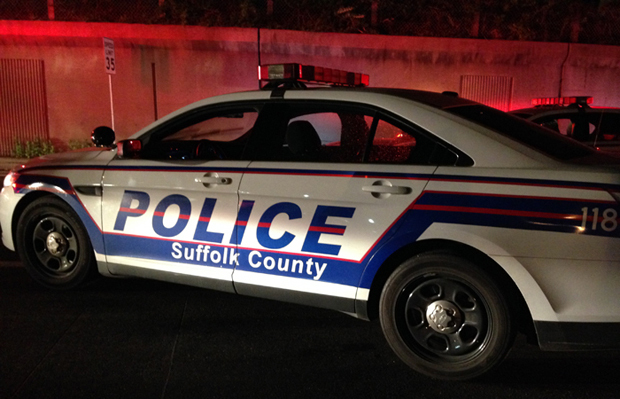 According to police, on March 9, 2000, the body of an unidentified white or light-skinned Hispanic male was discovered in a wooded area on the eastbound shoulder of the Northern State Parkway in Dix Hills. The remains were located by highway contract workers in a black plastic garbage bag. The victim had been shot in the face and torso and his date of death is estimated to have been between January 2000 and March 2000. The victim is described as approximately 35-45 years old, 5’10, and 140 lbs. The man was clothed in Levi’s blue jeans, a navy blue bathing suit, olive colored Levi’s short sleeve shirt and olive colored t-shirt with a multi-colored picture and the words “New Jersey.” The victim had no visible tattoos or scars. To date, the victim in this investigation has never been identified and the cold case remains an open homicide. A facial reconstruction image was created in hopes of identifying the man. The victim’s date of death is estimated to have been between January and March of 2000. New York State Police in conjunction with Suffolk County Crime Stoppers is offering a $5,000 reward for any information leading to an arrest of the person or persons responsible for the crime. Anyone with information regarding this investigation is asked to contact the New York State Police at (631) 756-3300. Please refer to SJS# 3023503..
Farley: "Gillibrand Cares More About Children Crossing Border in Mexico, Then She Does Kids in New York"